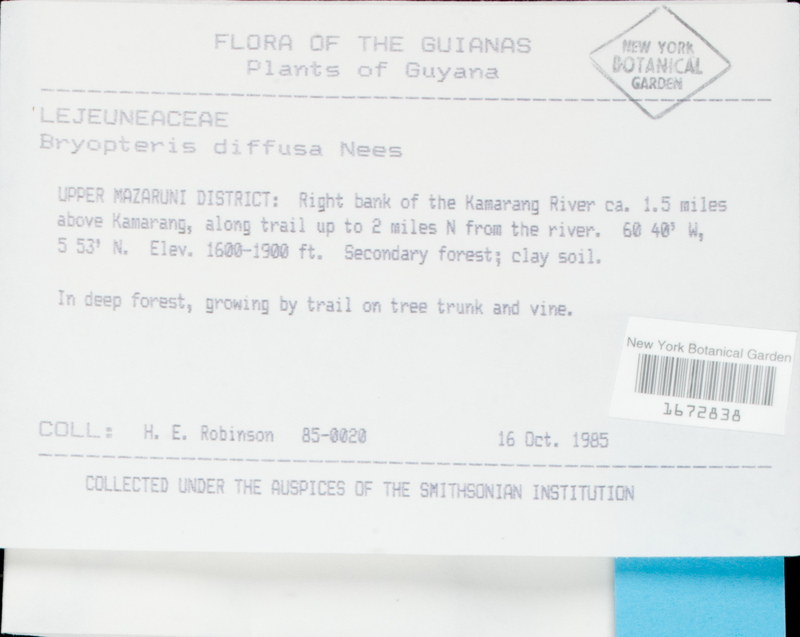 Locality: Guyana, UPPER MAZARUNI DISTRICT: Right bank of the Kasarang River ca. 1.5 trails above Kanarang, along trail up to 2 miles N from the river. Elev. 1680-1900 ft. Growing by trail.